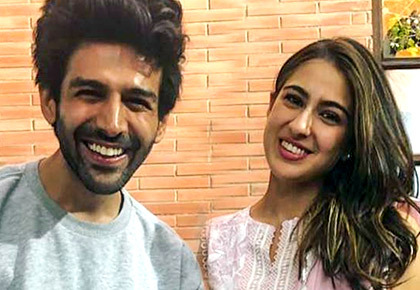 At the Filmfare Awards on Saturday, March 23, Sara Ali Khan won the award for Best Debut Actor (Female). 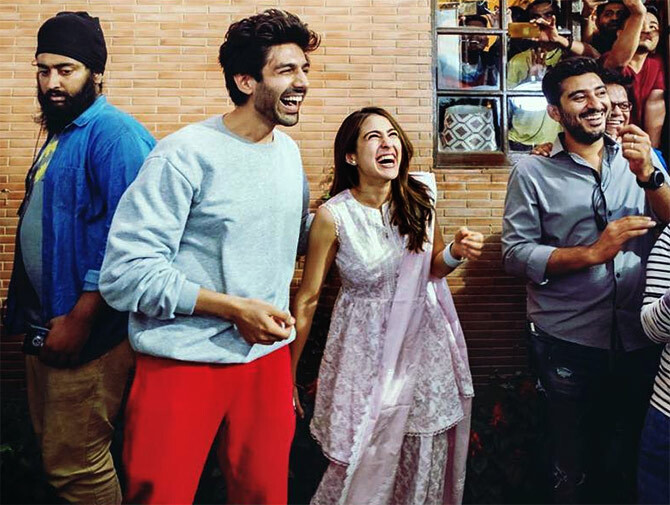 Kartik Aaryan won the award for Best Actor in a Comic Role at the Zee Cine Awards. 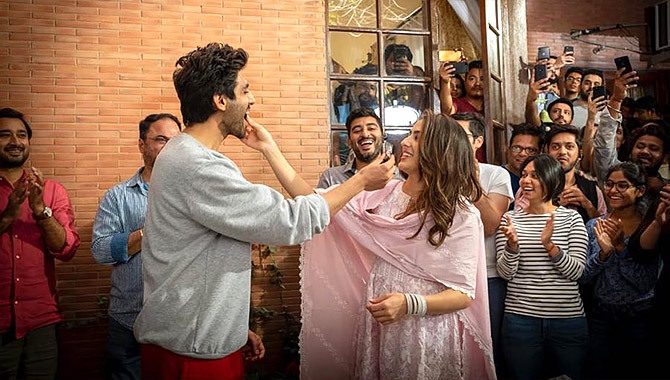 Kartik and Sara, who are shooting for Imtiaz Ali's Love Aaj Kal 2, had a surprise awaiting them. 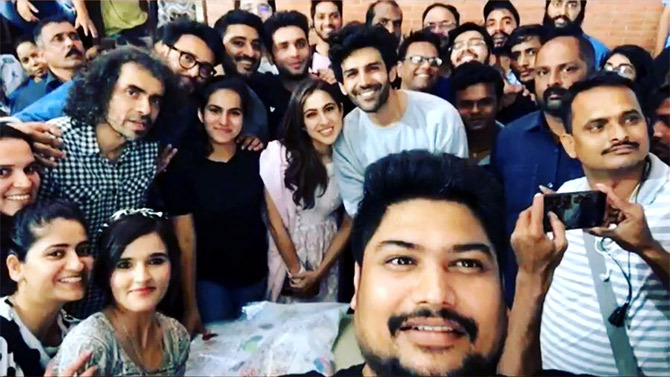 Kartik Aaryan posted a pic of Sara and him cutting a cake. 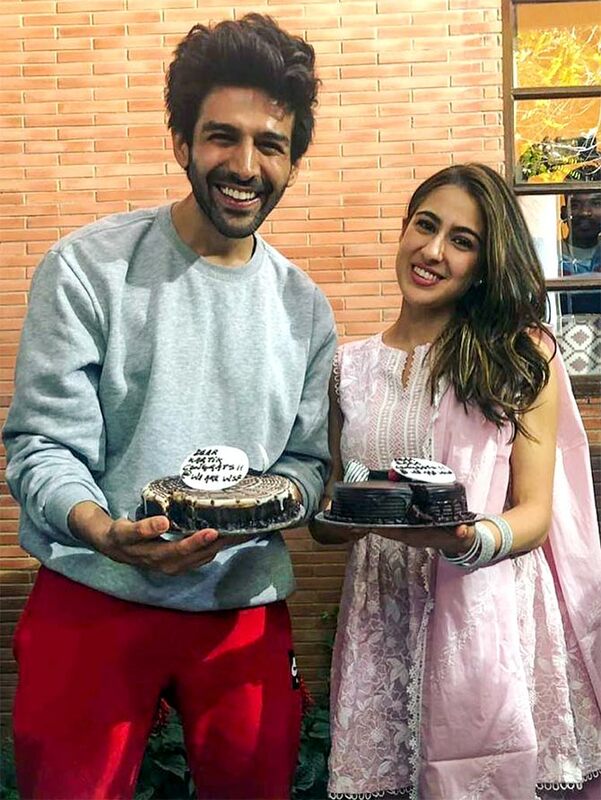 'Celebrating Sara's #Filmfare Award And my win at d #ZeeCineAwards Thank you @imtiazaliofficial Sir and @wearewsf for making our win more special by this surprise celebration Such a sweet n thoughtful gesture @saraalikhan95 @filmfare @zeecineawards', Kartik wrote. Neena Gupta won the Critics's award for Best Actor in a Leading Role (Female), for Badhaai Ho at the Filmfare awards. 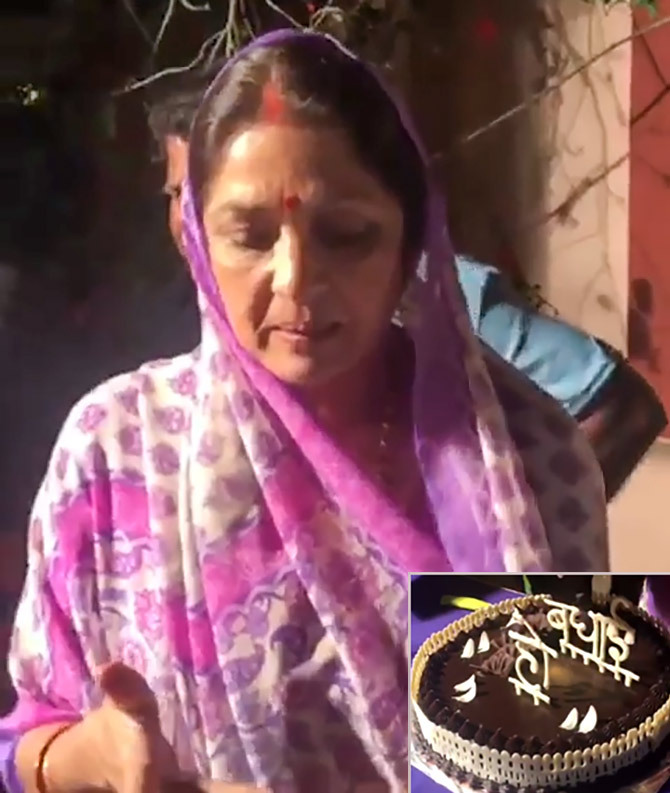 Neena has been shooting in Bhopal for Panga and her unit organised a a cake to celebrate her win. 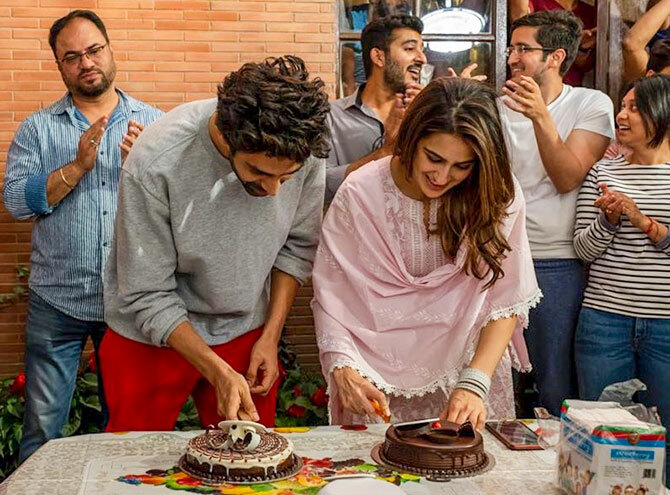 'My new unit at Bhopal surprised me today by getting this Badhaai Ho cake to celebrate my win at Filmfare! Thank you team, I am so touched by this sweet gesture', Neena noted.